The Sunday 10K and Half Marathon have sold out and are no longer available for registration. 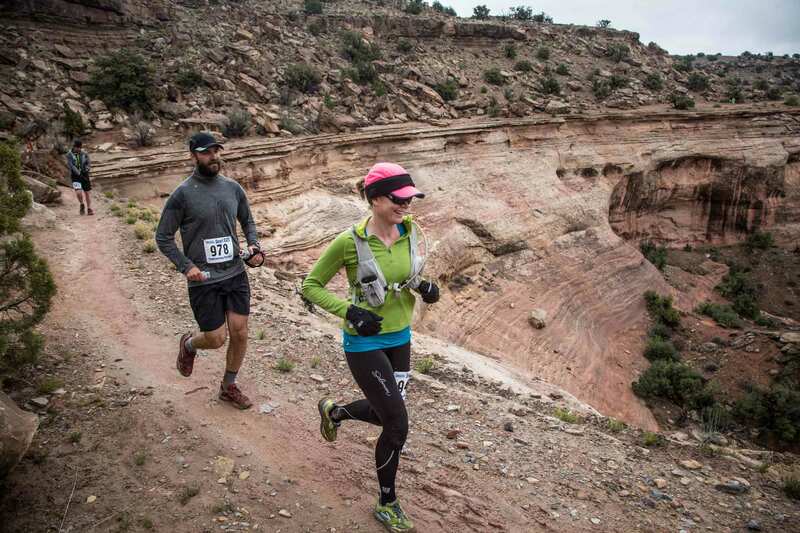 Join us for a weekend of fun and running on the beautiful trails near Fruita, Colorado. 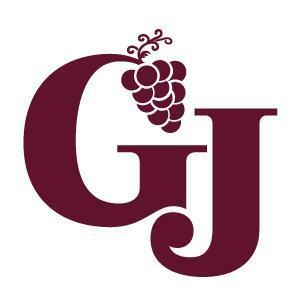 The weekend kicks off on Friday night with packet pickup and a dinner. Saturday is the trail marathon and 50K, followed that night with a racer party. Sunday’s events include a 10K, half marathon and kids’ races. Sunday’s races did sell out in 2018, so get in early. We can’t wait to see you this April – hopefully with fresh legs and a powerful spirit, ready to start the racing season off right! We wish you all health, happiness, and smart training in the weeks to come! You should know what will bring you the most comfort by way of apparel, shoes, food and liquid intake for your race. We are capable of offering suggestions, and have a really amazing kitchen crew who understand racer’s needs, but you understand your body best. Suggested for Runners: Warm-up clothing, rain jacket, hat/cap, 2 pairs of shoes, water bottle/s, gloves, extra socks, sunscreen, sunglasses, chap stick/petroleum jelly for chapped areas or rubbing, etc. Suggested for Crew/Family: rain jacket/pants, gloves, extra clothing, hat/s, backpack, pen and paper, snacks/meals, water, sunscreen, noise makers/cowbells, water bottle, book/magazine, race manual. In order to be environmentally friendly and cut down on the amount of trash we produce, we will not have cups at the aid stations. Please carry a water bottle, hydration pack or collapsible cup on the course. The racer party for all racers and Awards Ceremony for the Marathon & 50K races will be upgraded for 2019! Join us at Civic Center Park in downtown Fruita for food, beer, and the racer award ceremony. Men’s & Women’s winners of each of the four distances (50K, Marathon, Half Marathon, 10K) will receive comp entries to next year’s races. There will also be $100 cash premiums at the 1.3mi mark of both days for men and women. Racers will receive customized dog tag finisher’s awards as they cross the finish line. Placer’s awards will be distributed at each day’s awards ceremony. Awards and mementos will not be mailed after the event. The Start/Finish lines will be at the Hawkeye Trailhead of the Kokopelli Trail just west of Fruita, Colorado, at exit #11 off I-70. Turn South from the exit and proceed straight 0.5mi to the trailhead. The start time for the 50K and Marathon races is Saturday at 7:00a. The start time for the Half Marathon and 10K races is Sunday at 8:30a. Parking will be very limited and carpooling is strongly recommended. We may need to divert some traffic to an alternate parking lot. Please plan to arrive at least one hour prior to your start time to allow time for this, if required. Your race number and packet will also be available at the Start/Finish Line beginning at 5:30a on Saturday and 7:00a on Sunday. Sunday’s racers can pick up their packets at Friday night, Saturday morning or Sunday morning packet pick-ups. Packets will not be available after race start on Saturday or Saturday nights. This year’s host hotel will be the Super 8 in Fruita. 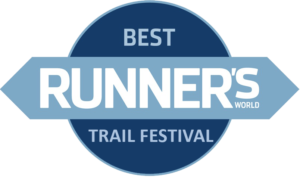 Call them today at 970-858-0808 and mention the Trail Running Festival to request our special group rate, base price of $73/night + taxes. Weather on the Kokopelli can vary. The averages for April are a low of 35 & a high of 66 degrees. We’ve had anywhere from 30’s with sleet to 80’s and sunny – come prepared! Crews are allowed and encouraged at the Moore Fun and Troybuilt Aid Stations. Parking is limited; please be considerate of runners and other crews. Crewing is permissible at the Crossroads and Pizza Overlook Aid Stations. Access is 4WD High-Clearance, and parking extremely limited. It is recommended any crew wishing to visit these sites park at the junction of the Hawkeye Road and Mary’s Loop, 1.1mi SE of the Start/Finish, and hike in. There will be no entry transfers. For environmental reasons cups will not be provided at the aid stations. Aid Stations will be stocked with gels, potato chips, peanut butter and jelly rolls, chocolate, bananas, Skittles, ice water and Tailwind. 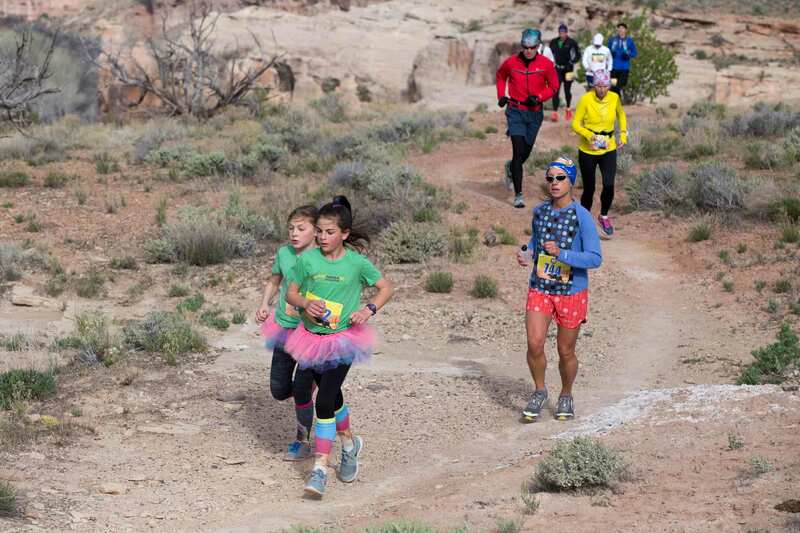 The Marathon will be a single loop connecting the desert trails of the Kokopelli and adjacent trails. 50K runners will do an additional 4.6mi loop beginning at the Moore Fun Aid Station allowing runners to hit this Aid Station twice. 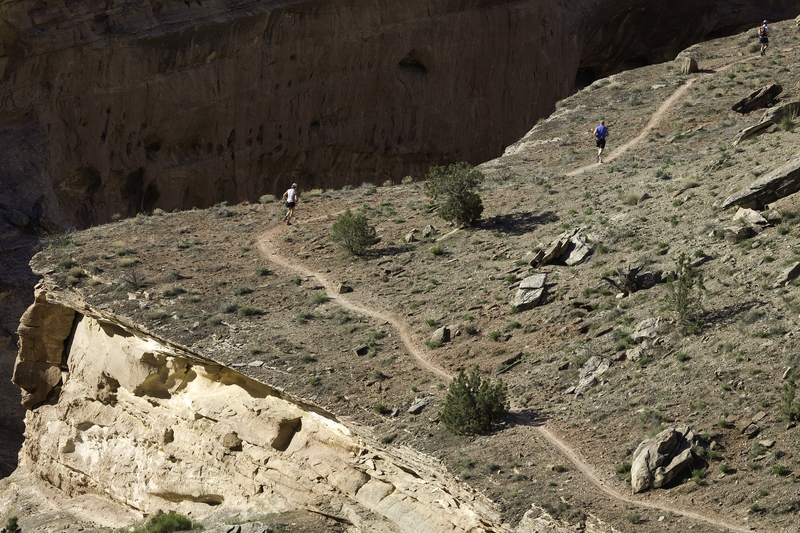 The courses roll between elevations of 4,500 and 5,400 feet with over 3,400 feet of climbing. Start: A nice warm up takes runners out one mile of gently rolling dirt road. A 0.3mi uphill brings racers to an open area where there will be a course official noting a $100 cash premium for the first male and the first female to reach this point. A sharp left turn puts runners on the first single track of the day. Once on this section, it will be difficult to pass so find your place before your reach this section. Large rocks and twists bring you to a high point where you will stay close to the edge and enjoy beautiful views before the rugged descent down the other side. 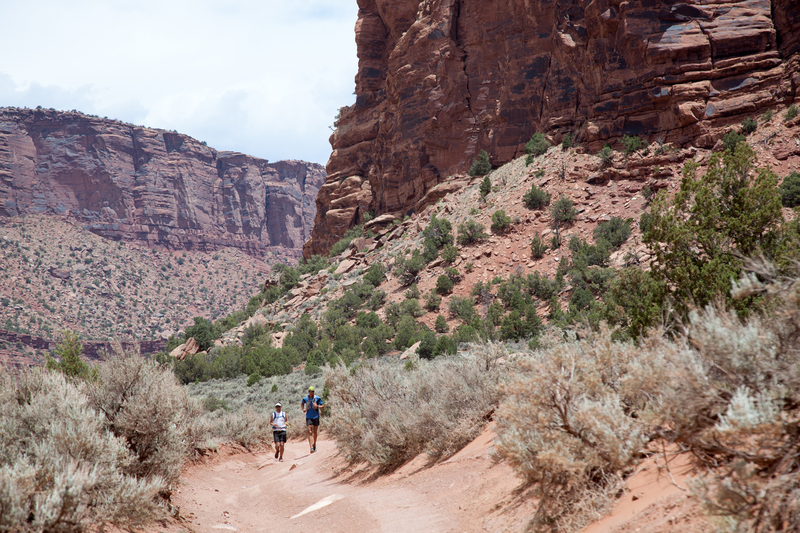 50K Out & Back: After leaving the Aid Station, 50K runners will head down the road to Rustler’s Loop. Traveling clockwise around the loop, this soft dirt trail winds its way through gently rolling hills and wide open fields. After completing the loop, you’ll be back at Moore Fun. Moore Fun: A short downhill will bring you to a rugged jeep road. It will take you up a gentle climb and descent until it connects into the wide, flat and fast section of Mary’s Loop. Head right on Mary’s Loop, going through some fun technical terrain with amazing views of the Colorado River, to reach Pizza Overlook. Pizza Overlook: Upon leaving the Aid Station, you will immediately begin descending quickly. 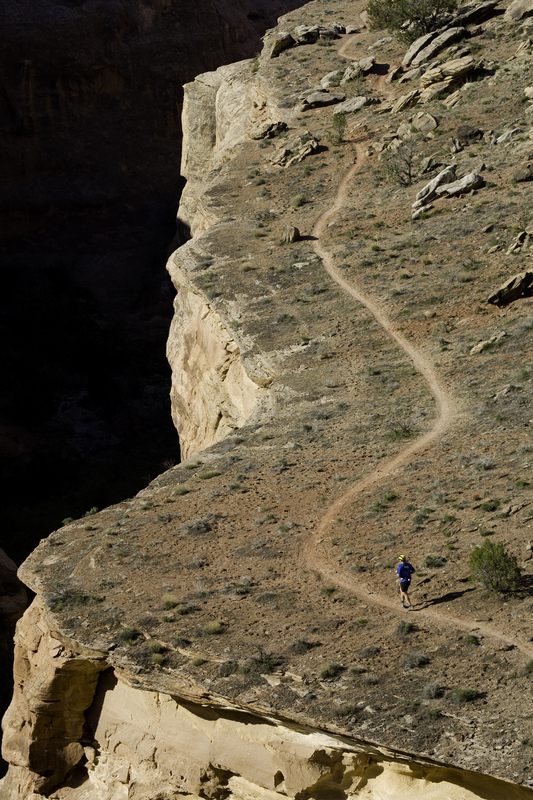 A narrow trail and big drop offs will eventually open up as you begin following the rim in and out of the canyons. On an incredibly picturesque course, this section is generally considered the most beautiful. Crossroads: After a short climb, the course passes some intersecting trails and makes a couple of sharp turns (pay attention to the course markings). This will lead to the undulating, remote section of the Troybuilt Trail. This is the longest section between Aid Stations so be sure to carry water with you. A fun descent through a wash will bring you to Troybuilt. You must make it to the Crossroads Aid Station by Noon. Racers over this cut-off will be directed to bypass the remaining course, proceeding back to the Start/Finish by the most direct route, 1.5mi on Mary’s Loop and Hawkeye. Troybuilt: Leaving this Aid Station will put you on the steep, hot climb of the day. Eventually bringing you to Mack Ridge, this section will open up, once again following what some would consider a little too close to the overlook. A new section of single-track will make a sharp left turn and descend 2.8 miles to the backside of the parking lot and the finish line. Runners head out the gently rolling dirt road for a mile until they take a sharp right turn for 0.3mi to the top of the hill. From there, the first Aid Station is visible and racers cross the cattle guard, staying on the road, and head down the steep hill to the Crossroads Aid Station. Crossroads #1: Both distances will head out from the Aid Station down the steep, rocky gully for a short distance until it flattens out but continues twisting and turning. Runners will reach a “T” in the road where they take a left hand turn. You will follow along the beautiful rim for a short time before heading up a steep ledgy section to the Pizza Overlook Aid Station. (10K) Take a left at the Aid Station on the rugged jeep road back to Crossroads Aid Station #2, then back over the cattle guard and to the Finish Line. (Half Marathon) Travel on the open rolling section of Mary’s Loop until hitting the Wrangler’s Loop cutoff. Make a sharp left. Some sections will be loose or sandy but overall there is good footing. A nice decent will bring racers to the Moore Fun Aid Station. Moore Fun: The trail becomes rocky and technical as it makes the big climb to the top of this fun section. After it levels off for a short distance, the trail will make a fun technical decent to the cattleguard. From there, you will go back the same way you came, down the short steep section to the dirt road and along the double-track to the finish.